Nyāya (Sanskrit: न्याय, ny-āyá), literally means "rules", "method" or "judgment". 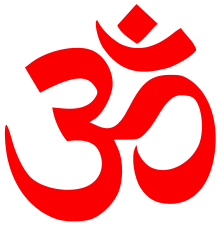 It is also the name of one of the six orthodox (astika) schools of Hinduism. This school's most significant contributions to Indian philosophy was systematic development of the theory of logic, methodology, and its treatises on epistemology. 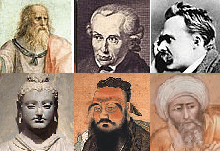 Naiyyayika scholars approached philosophy as a form of direct realism, stating that anything that really exists is in principle humanly knowable. To them, correct knowledge and understanding is different than simple, reflexive cognition; it requires Anuvyavasaya (अनुव्यवसाय, cross-examination of cognition, reflective cognition of what one thinks one knows). 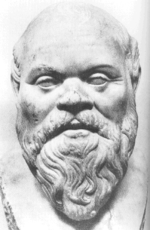 An influential collection of texts on logic and reason is the Nyayasutras, attributed to Aksapada Gautama, variously estimated to have been composed between 6th-century BCE and 2nd-century CE. Anumāna (inference) is one of the most important contributions of the Nyaya. It can be of two types: inference for oneself (Svarthanumana, where one does not need any formal procedure, and at the most the last three of their 5 steps), and inference for others (Parathanumana, which requires a systematic methodology of 5 steps). Inference can also be classified into 3 types: Purvavat (inferring an unperceived effect from a perceived cause), Sheshavat (inferring an unperceived cause from a perceived effect) and Samanyatodrishta (when inference is not based on causation but on uniformity of co-existence). A detailed anaysis of error is also given, explaining when anumana could be false. Upamāna (उपमान) means comparison and analogy. Upamana, states Lochtefeld, may be explained with the example of a traveller who has never visited lands or islands with endemic population of wildlife. He or she is told, by someone who has been there, that in those lands you see an animal that sort of looks like a cow, grazes like cow but is different from a cow in such and such way. Such use of analogy and comparison is, state the Indian epistemologists, a valid means of conditional knowledge, as it helps the traveller identify the new animal later. The subject of comparison is formally called upameyam, the object of comparison is called upamanam, while the attribute(s) are identified as samanya. Thus, explains Monier Williams, if a boy says "her face is like the moon in charmingness", "her face" is upameyam, the moon is upamanam, and charmingness is samanya. The 7th century text Bhaṭṭikāvya in verses 10.28 through 10.63 discusses many types of comparisons and analogies, identifying when this epistemic method is more useful and reliable, and when it is not. In various ancient and medieval texts of Hinduism, 32 types of Upanama and their value in epistemology are debated. 1 2 B. K. Matilal "Perception. 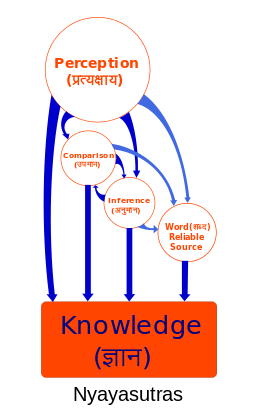 An Essay on Classical Indian Theories of Knowledge" (Oxford University Press, 1986), p. xiv. 1 2 David Christian (1 September 2011). Maps of Time: An Introduction to Big History. University of California Press. pp. 18–. ISBN 978-0-520-95067-2.